Affordable homes, and the lifestyle and landscape, have seen a steady rise in the school population at Yinnar. Reporter Nicole de Souza continues our series on life in the town, meeting twins Luke and Mia, their family and teachers. Luke and Mia are 11-year-old twins, the youngest in a family of five children. 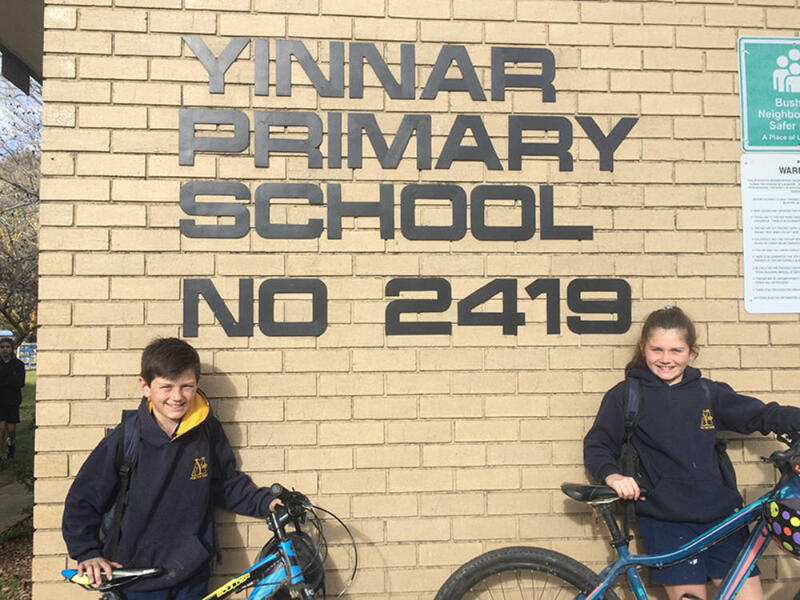 Almost every morning, they ride their bikes a couple of blocks from home to Yinnar Primary School, at the northern end of the main street. They could get a lift with their mother Natalie Cheffers, who works at the school, but they prefer to get there under their own steam. It’s a chilly morning, but they insist on wearing their school shorts. “I don’t feel the cold,” Mia says proudly. As the students gather in the yard, waiting for the bell, it’s clear that many aren’t as immune to the temperature, and are drawn to the heating vents outside the classroom. 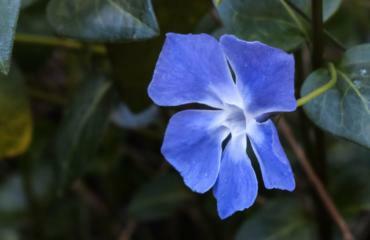 They huddle tightly, blurring into a smudge of navy uniforms and brown-haired heads. Luke, his breath visible in the cold weather, joins them. Perhaps he’s not as impervious to conditions as his sister. Yinnar Primary School has been a central part of the community since 1879. Back then, the residents had 35 children between them, enough to gain state government approval for their request for a school. It officially opened in 1881, first as a portable schoolhouse, then as a simple yet dignified weatherboard building in 1908. That building was demolished when the school was rebuilt in 1982. It’s now going through another era of transition and expansion. 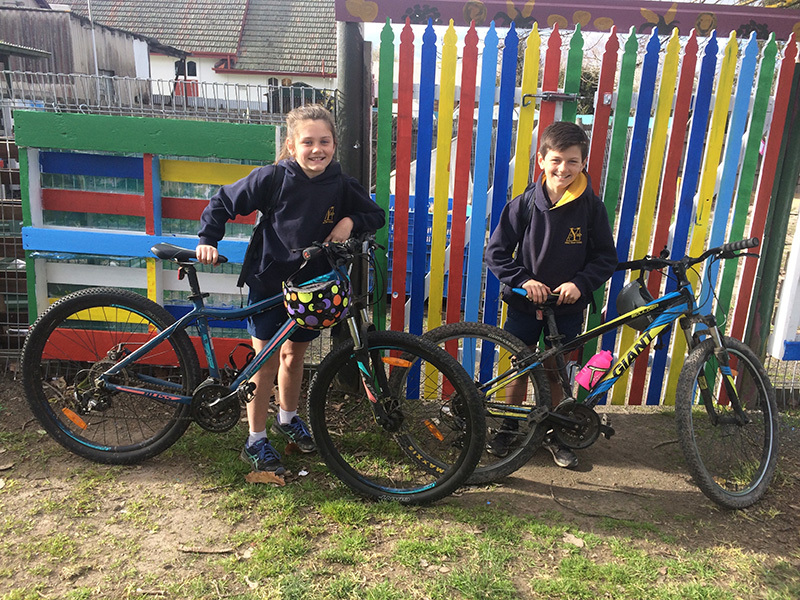 “The school has grown steadily over the last few years,” says Caitlin Twomey, Luke and Mia’s teacher. In 2006, it had 162 students. This number has grown to more than 200. Initially, only children from town would enrol in the school, but according to Ms Twomey, more children have come in from the surrounding areas due to the school’s favourable reputation. 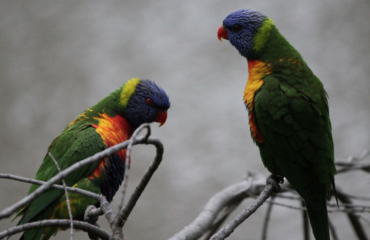 “We’ve got some new enrolments for next year, and some new estates have popped up,” says the twins’ mother Natalie. Two housing estates opened in the community in 2015, offering more than 100 blocks of land. Stage one of this land development has already sold out, with five more stages to go. Current land plots are on the market from $75,000 to $129,000, with enough space for a three-bedroom house. Most of the buyers are families, both young and old. 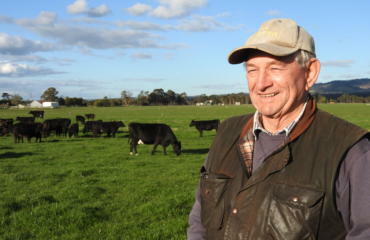 Many interested parties are from the Gippsland region, but some come in from Melbourne, attracted by the affordable prices. With this in mind, the school is aware that the numbers of students and teachers will continue to grow. Ms Twomey is one of the new teachers recruited to meet the challenge. “I grew up in the area,” she says, “and at uni, I did my fourth year placement here.” She got a teaching position at the primary school last year. She’s not the only Twomey on the school grounds, with three generations of her family here on any given day. Her daughter’s in prep and her father, who is also a teacher, oversees the grade that’s right next door. Sometimes, father and daughter combine the two classes and supervise the children together. Luke and Mia are in grade 5. As well as the usual subjects, like maths or reading, they’re learning about money, creating small business plans on their school laptops. Luke and his friends are working on their plan together, where at a school market day, they hope to sell spiders – the drinks, not the arachnids. “We want to help them understand how to budget and handle real money,” says Ms Twomey. A future in business isn’t exciting Luke, who would rather play footy. “I want to play for Carlton,” he says. The Cheffers family love sport, and they’ve made the four-hour return trip by car to the MCG five times this season. The thought of leaving town to play AFL – should his dreams come true – hasn’t fazed Luke yet. “I’m OK with it,” he shrugs. He likely gets the footy bug from his father, Guy Cheffers, who is a life member of the local football club and has played more than 300 games. Guy was originally from the Melbourne suburb of Doncaster, while Natalie was born in Sydney. They both moved into the Gippsland region with their families as children, at around eight years old, with Guy settling in Yinnar and Natalie growing up in the bigger town of Churchill, about a 10-minute drive away. “I’d be happy to stay [in Yinnar] forever unless something drastic happened,” she says. While Mrs Cheffers works at the school, her husband drives north to Traralgon, where he spends his day as a spare parts manager at Gippsland Motor Group, where he’s worked for more than 20 years. If her dreams come true, Mia must also leave town to pursue her interests. She puts her energies into basketball, travelling to Churchill to train and compete. Mrs Cheffers carpools with other parents, sharing the load. When Mia’s older, she’d like to become a basketball coach or a nurse. After lunch, Mia is at her desk for her language lesson. Once a week, a Chinese teacher from a nearby secondary school comes to Yinnar and teaches the students for 40 minutes. Chinese was taught in 20.3 per cent of Victorian government primary schools in 2017, and given Australia’s geographic closeness to China, it seemed like a reasonable and useful language option for Yinnar’s students. While Mia studies indoors, Luke is out with some classmates tending to the garden as part of his involvement in the school’s sustainability team. “We’ve been chosen to do this because we’re responsible,” says one of the boys. Luke nods in agreement as he goes to the shed to grab a rake. The students rake and weed the gardens, and manage the worm farms, syphoning out the worms’ nutrient rich urine and feeding them food scraps from the school and from the café next door. Sustainability is one of the themes for the term, but the school’s efforts extend beyond that. There are solar panels on the roof. The school also plans to cultivate a natural vibe in the schoolyard by fashioning a dry creek bed. This blaze started in 2014, at a coal mine 20 minutes away from the town. It burned for 45 days, covering the region in smoke and ash, and causing significant health fallout in the local community. After school, Luke and Mia return home, but their time with their friends isn’t over. “In our street, there are kids everywhere,” says their mother. At some point in the afternoon, a child – any child – will come knocking and looking to play. Luke is more apprehensive. “We went there once and there’s lots of bells and I don’t really understand them,” he says. Their teacher, Ms Twomey, is hopeful that the school has given them the skills and the strength to achieve their goals.